Did you know that senior adults are the second-highest leaders in fatal car accidents right behind teens? This may seem surprising since seniors are more experienced drivers and drive less than other age groups. Even though seniors are more likely to wear seat belts and obey speed limits, according to the CDC (Centers for Disease Control and Prevention), nearly 700 are injured daily. Of those, 16 are fatal. After the age of 70, the risk of dying from an auto accident increases significantly. Knowing the risks involved for auto accidents and seniors can help you make an educated decision about your parent or loved one. Our car accident lawyers at Shore McKinley & Conger in Sacramento, CA are equipped to handle cases involving seniors that resulted in personal injury and will fight for the compensation you deserve. Diabetes: Can lead to weak muscles, fainting spells, and fatigue. Loss of hearing: Can prevent them from hearing horns and sirens. Poor eyesight: Eye diseases, such as glaucoma and cataracts are more common in older adults and can lead to loss of peripheral vision and difficulty seeing clearly at night, even when wearing prescription eyewear. Sleep apnea: Can cause daytime drowsiness and falling asleep at the wheel. Parkinson’s disease: Can cause weak muscles and impair coordination. Arthritis: Can affect strength, flexibility, and range of motion. Dementia or memory loss: Can impair decision making and reaction time behind the wheel. 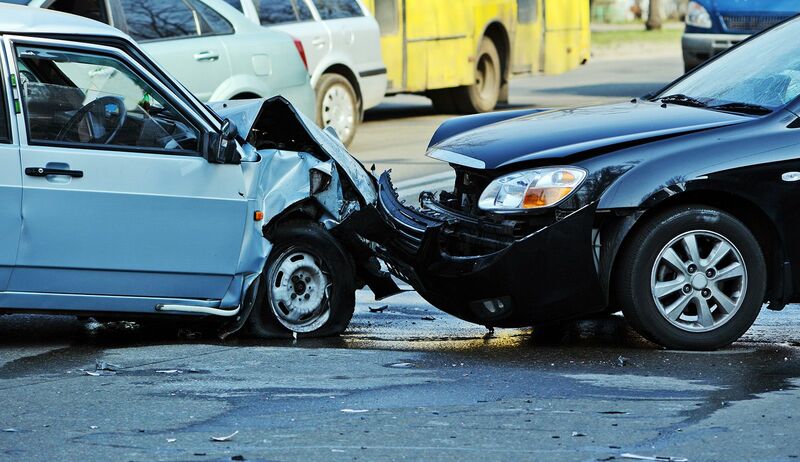 Research has also proven that car accidents are one of the most common causes of injuries for senior adults. Seniors are more likely to be seriously injured in an accident due to a number of issues, such as weak bone density and slow healing times. In addition, preexisting issues, such as heart disease or diabetes can also be exasperated and result in fatality. Avoid driving at night and in bad weather. Keep a safe distance between you and the car in front of you. Avoid talking on the phone, eating, changing the radio station, texting, or any other activity that could distract you while driving. Avoid driving if you feel unwell or if your reflexes are impaired. Before driving, choose your route carefully. This may include avoiding busy highways and choosing well-lit roads. Wear proper eyewear so you have clear eyesight. Exercise to improve your strength and flexibility so your reflexes and reaction times remain quick. Get plenty of rest and avoid driving when tired. If you are the victim of an auto accident involving a senior adult, our law office can help you seek the compensation you deserve to help pay for medical treatment, emotional distress, and lost wages. Our lawyers are also equipped to handle cases for families who have lost a senior in a car accident. Please contact us today online or by calling (209) 477-8171 to schedule your consultation.